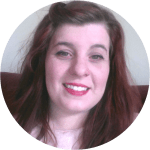 Donna Doyle is a Content Editor at DealNews and has previously held writing and editorial positions at a number of Irish websites. She was Fashion Editor of her college newspaper, The University Observer, and is a long term online Boggle champion. Her areas of expertise include fashion and homeware, gift advice, and the Harry Potter universe. Her interests include Dungeons and Dragons and the proper organization of stationery. She has recently learned to cycle a bike. You can shop the Apple Watch Series 3 at a $46 price low, or get a cashmere-blend Ralph Lauren sport coat for under $100. Check out these offers, and more in our roundup of the top five Editors' Choice deals we found last night and this morning. Gap is hosting its best sale since Cyber Monday and halving the price of already-discounted sale items. Check out this offer and more in our roundup of the top five Editors' Choice deals we found last night and this morning. This week's best electronics deals include Editors' Choice lows on a Harman Kardon portable speaker and a Lightning to 3.5mm adapter from Belkin. We've found all-time lows on Ralph Lauren and Jos. A. Bank suit separates, while the Vizio M65 TV remains at an impressive price. Check out these offers, and more in our roundup of the top five Editors' Choice deals we found last night and this morning. You can shop an all-time low on a Vizio M-Series TV, or save over $300 on a Ralph Lauren sport coat. Check out these offers, and more in our roundup of the top five Editors' Choice deals we found last night and this morning. Spring weather has us excited for a new season of outdoor activities, so we've found a bunch of essentials at low prices and sorted the best camping deals from the rest here. It includes an all-time low on a portable toilet and free emergency food sample. You can pick up a free wheel or tire cleaning solution, or save over $400 on a Tommy Hilfiger suit. Check out this offer and more in our roundup of the top five Editors' Choice deals we found last night and this morning. This week's best Apple deals include Editors' Choice price lows on the yet-to-be-released 22" iMac, and the 2nd-generation iPad Pro.